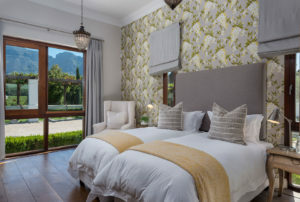 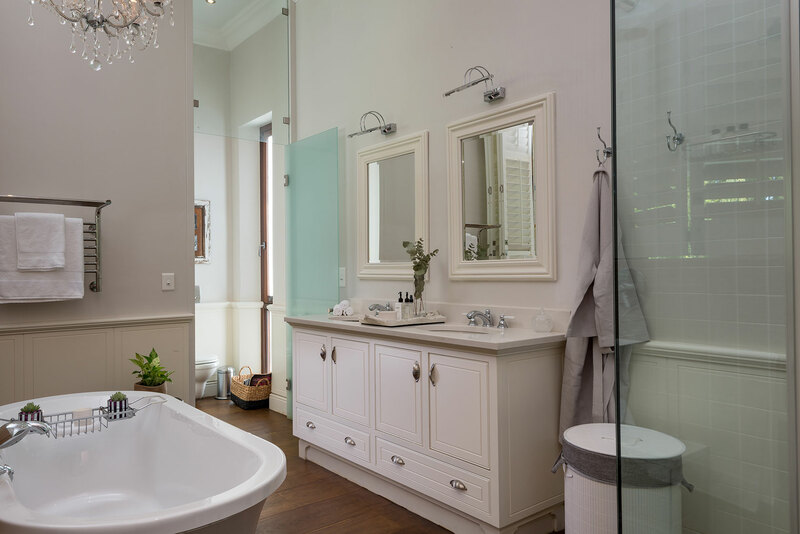 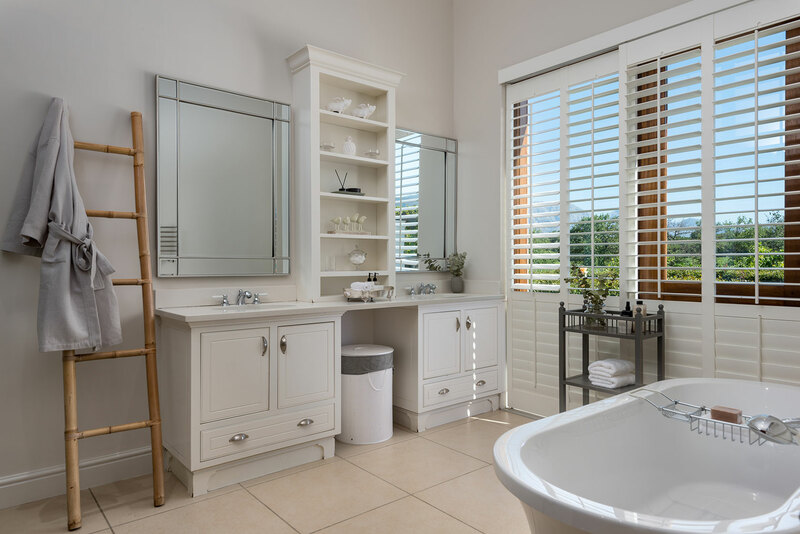 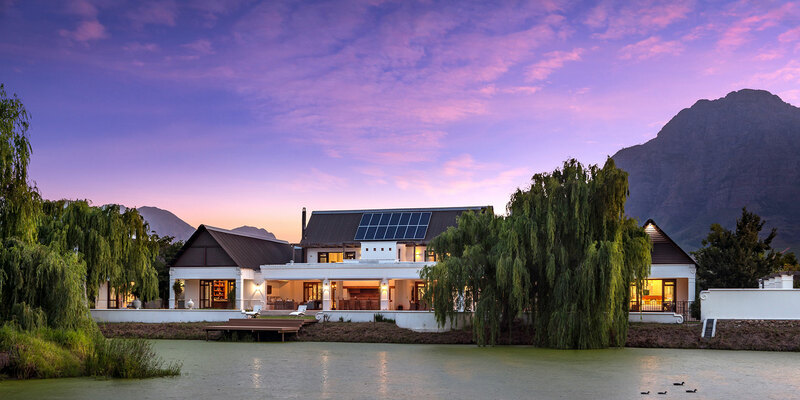 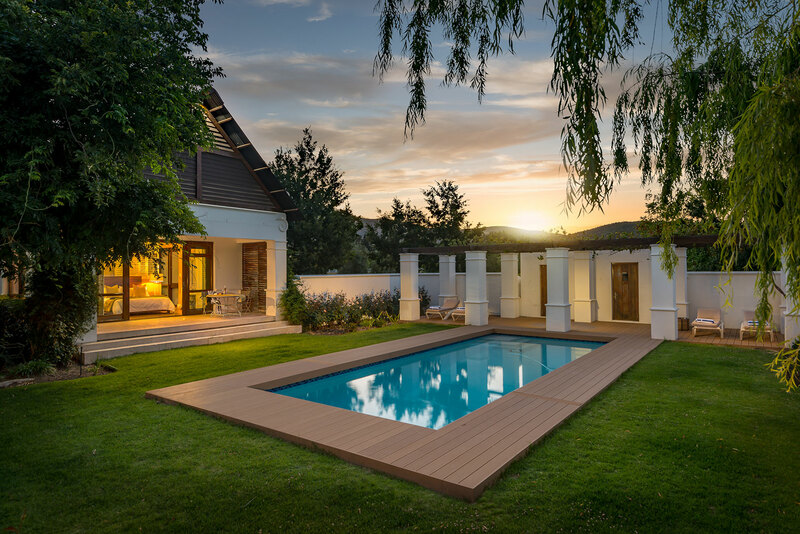 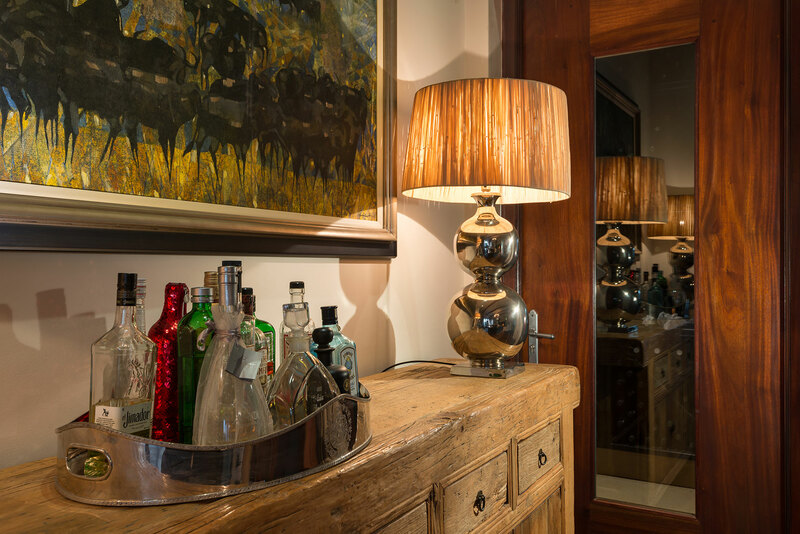 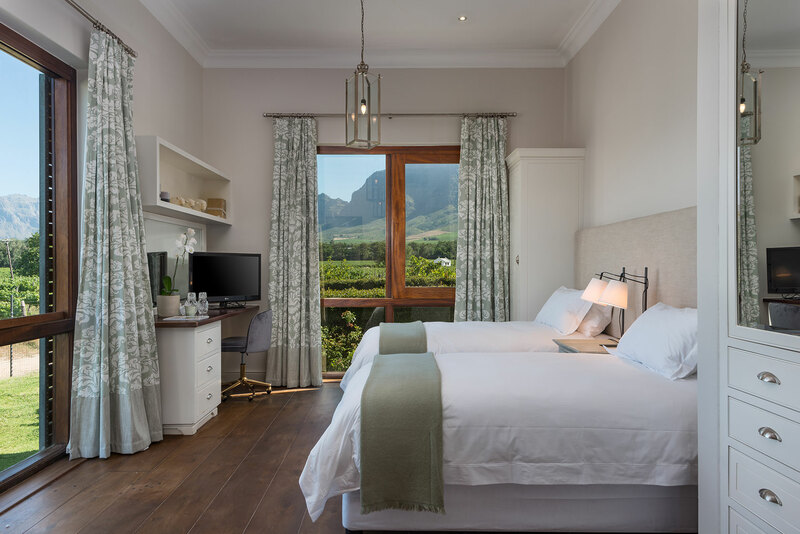 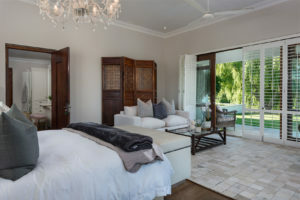 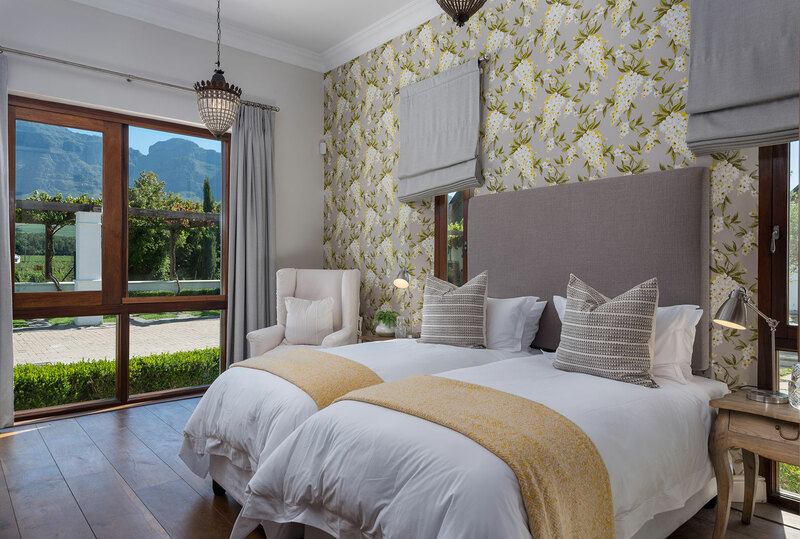 The Residence @ Vrede & Lust is an iconic 6 bedroom all en-suite villa, with picturesque views located in the majestic Franschhoek Valley, on the 330-year-old Vrede en Lust Wine Estate. 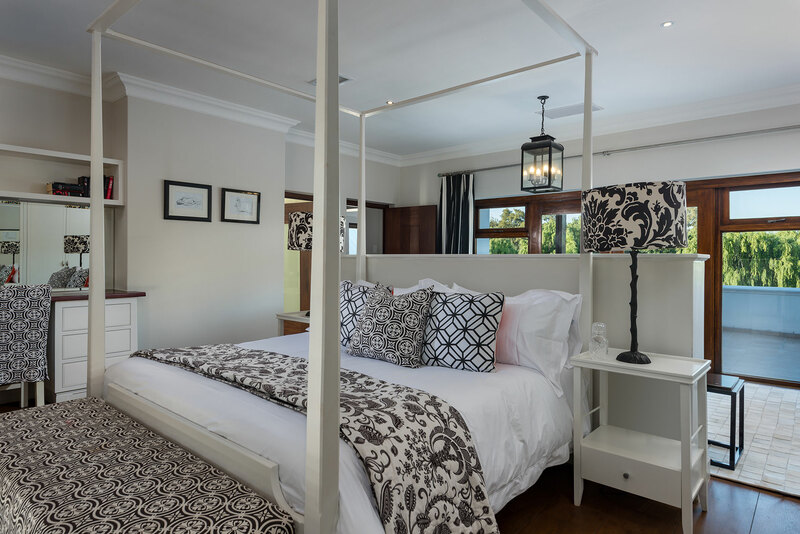 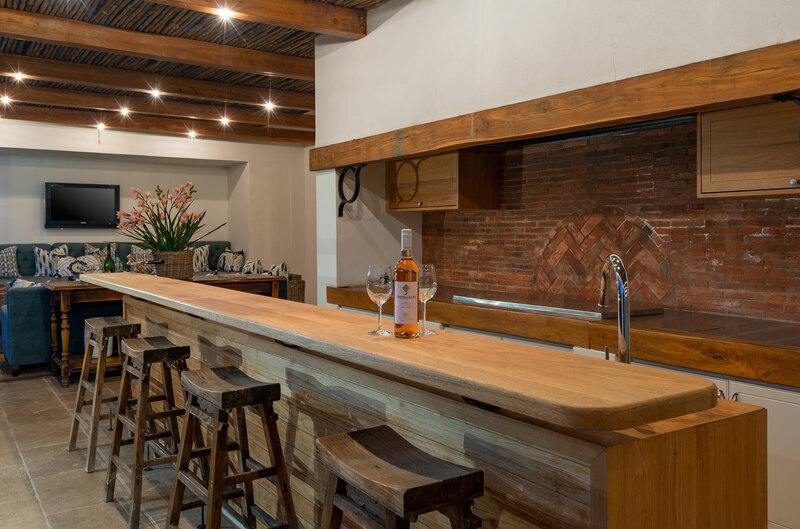 The fully serviced and elegantly designed villa is ideal for families or parties traveling together. 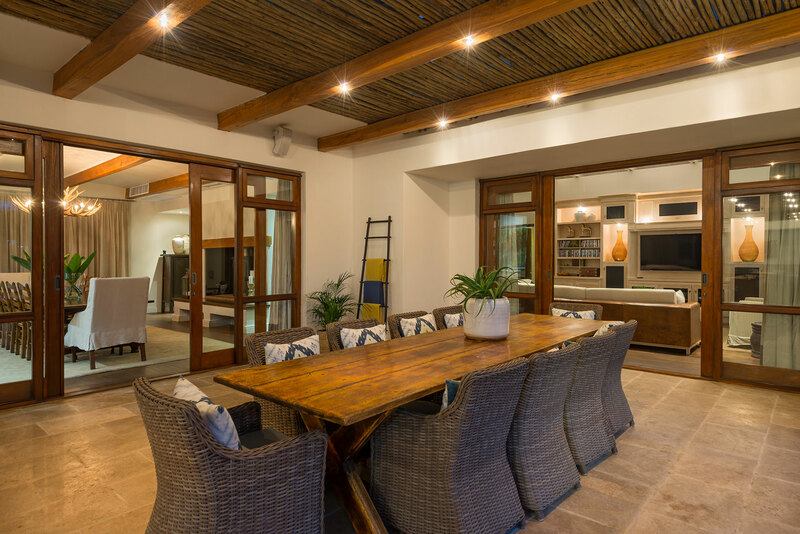 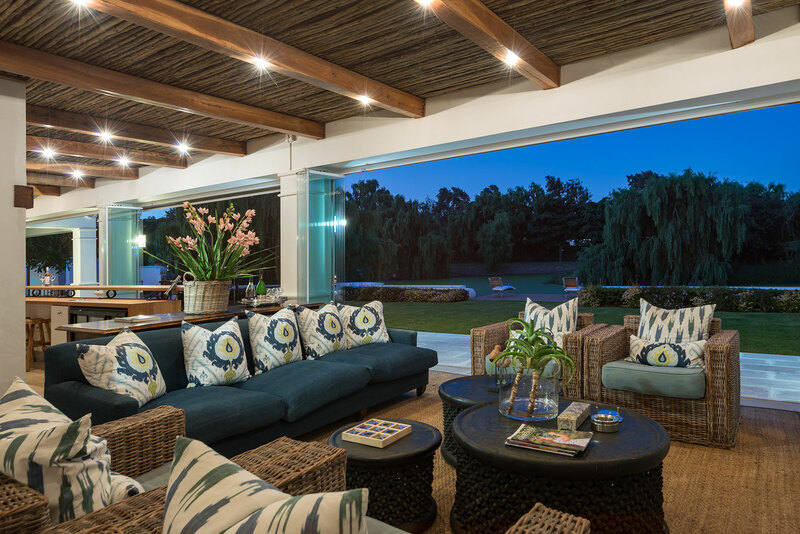 Multiple contemporary indoor and outdoor entertainment areas. 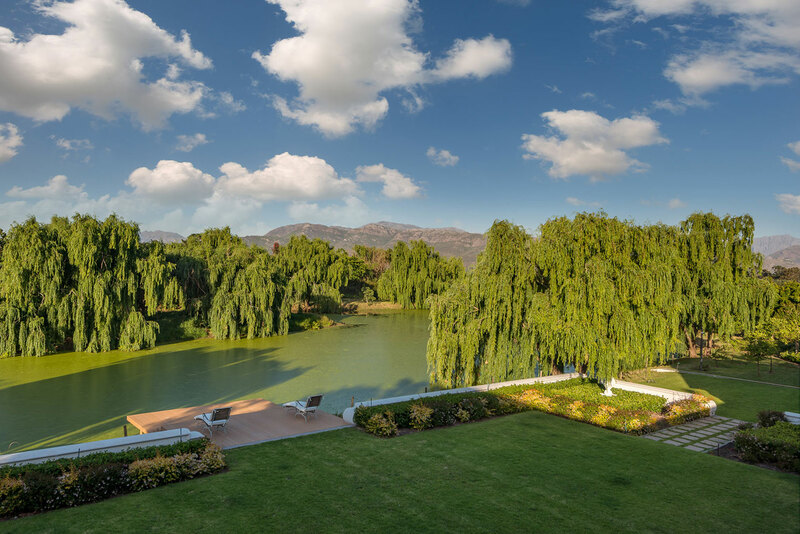 Set in a private 3Ha/7.5 acre part of the estate with top security. 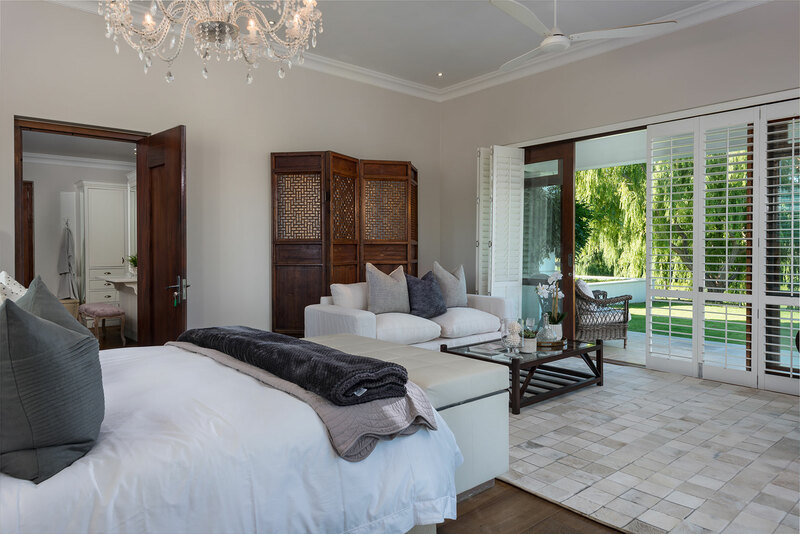 Bedrooms in the villa combine stunning architecture with modern furnishings and amenities. 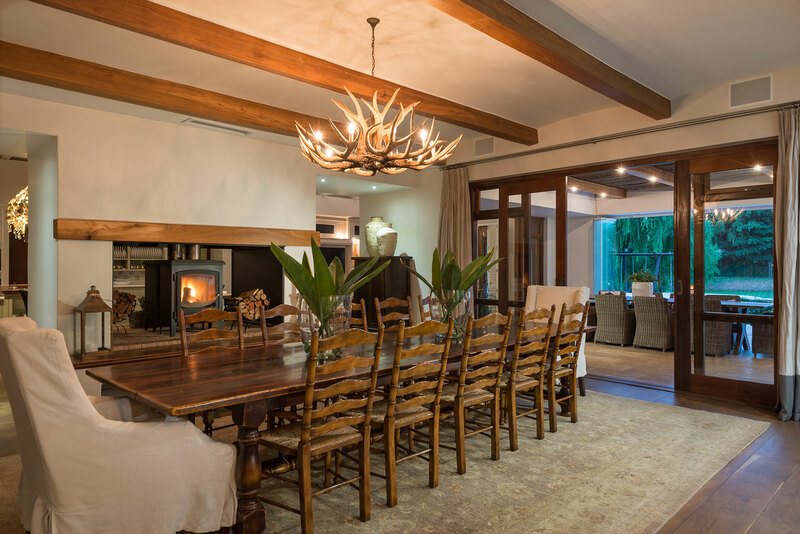 Decorated in warm colours, they feature high ceilings. 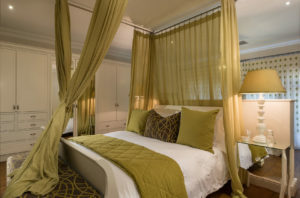 Rooms are air-conditioned with elegant en-suite bathrooms with designer toiletries. There is complimentary WiFi throughout the whole villa. 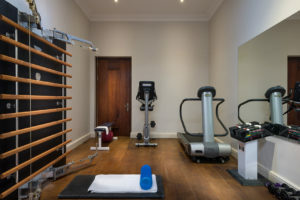 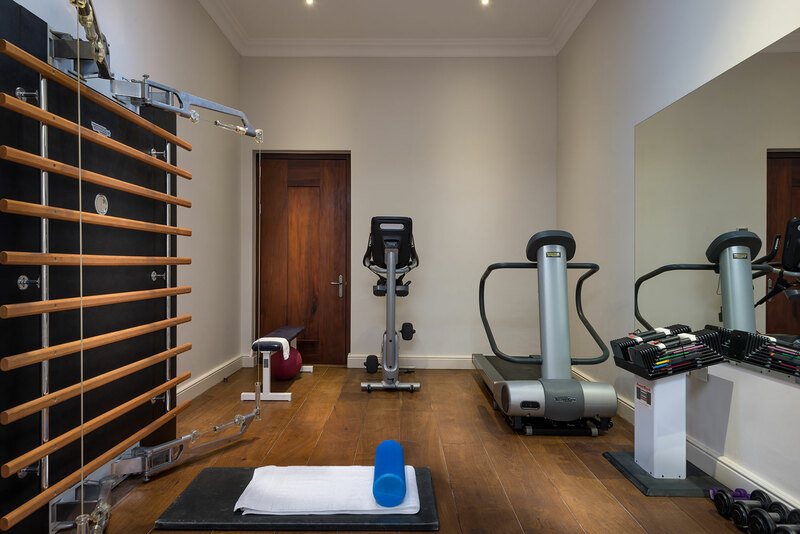 Excellent gym and treatment options. 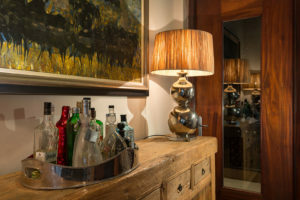 Like a 5-star boutique hotel but just for you and your party. 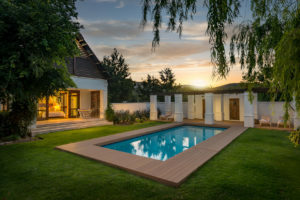 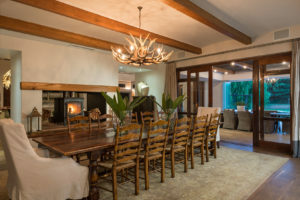 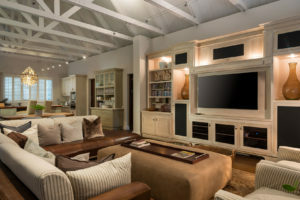 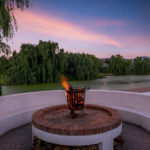 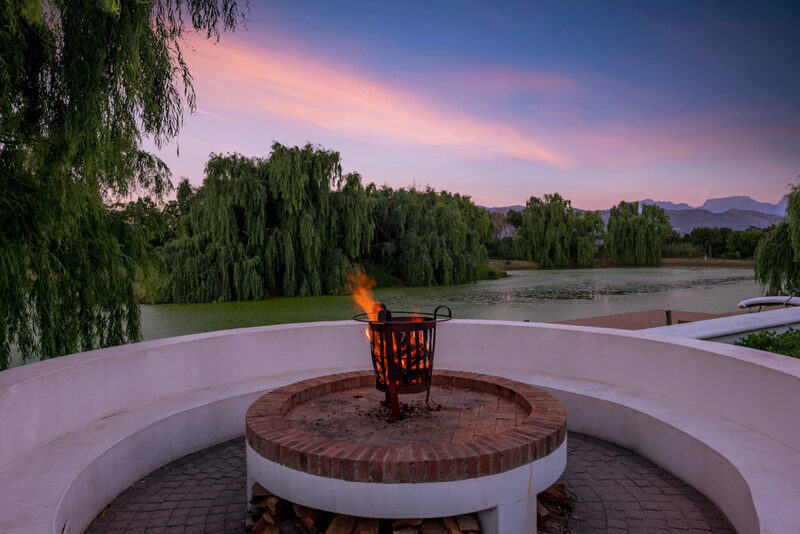 The Residence at Vrede en Lust has a full-time General Manager who is available to help plan your trips and help with reservations and catering planning. 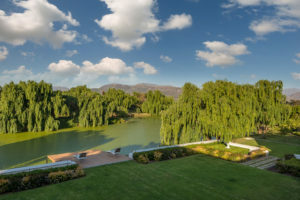 He can be there as much or as little as you wish! 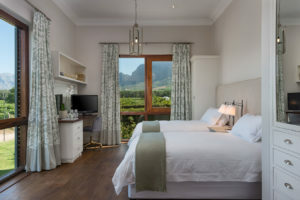 There is quite a lot to do on the estate itself and then there are many other leading wineries, restaurants, spa’s, golf courses and art galleries in the beautiful Paarl-Franschhoek valley. 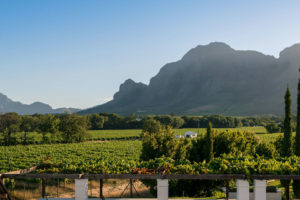 The Franschhoek Wine Tram has a platform at Vrede en Lust and guests may visit a large number of wineries from there without ever driving themselves. 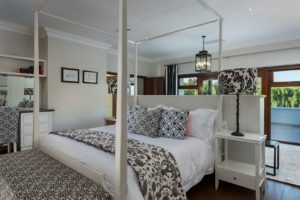 It is located 60km from the Cape Town Waterfront and 45km from Cape Town International Airport. Paarl is 12 km away, Franschhoek is 18km away and Stellenbosch is 15km away.